A fabulous new resource to help people better understand their dogs - and the reasons we need it. Those of us who know dogs are (sadly) used to seeing it: a dog says one thing and their owners do not understand. As a result, often the dog is scolded or chided, sometimes even hit, and the person may be risking a bite. If only there was a way to help people understand dogs better… and now there is, with the launch today of iSpeakDog. 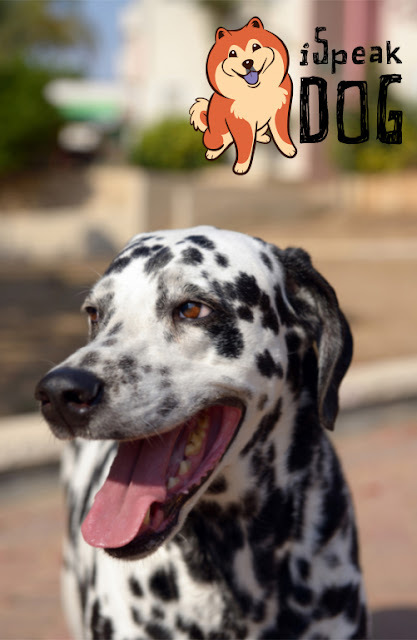 iSpeakDog is a website with information that will help people learn how to understand their dog’s behaviour, taking account of both the dog’s body language and the context in which it occurs. This week, beginning March 27th, is iSpeakDog week. As well as the iSpeakDog webinar (which is already full, but sign up anyway so that you can get the recording), the Academy for Dog Trainers is making two webinars on canine body language available to the public. The thing about dogs is that many people think they understand them perfectly well. Unfortunately, a lot of the information about dogs on the internet (and in books and on TV) is erroneous. It makes it hard for ordinary dog owners to pick through and find accurate information. At the same time, dog training is not regulated, and so even some dog trainers will give people incorrect advice. Are people good at recognizing dog body language? A study a few years ago by Michele Wan et al (2012) gives us some answers. The study used videos of dogs, rather than still images which can be harder to interpret. The results showed that people are good at recognizing when a dog is happy. Regardless of whether people were experienced or inexperienced with dogs, they were good at recognizing happiness. But it was not so for fear: here, experience made a difference. Dog owners and those with little experience with dogs were not very good at recognizing fear compared to those with professional experience. Another finding was that people without professional experience paid less attention to the dog’s ears, eyes and mouth. Another recent study also found that people have difficulty recognizing fear and anxiety in dogs when they are interacting with children (Demirbas et al 2016). Most people in this study classified the dogs as relaxed and confident when they were actually fearful and anxious. This is serious because of the risk of dog bites, to which children are especially vulnerable. Other misunderstandings about dogs can arise from not knowing what dogs need – opportunities to chew and sniff and dig and do dog stuff. How often have you heard someone describe their dog as ‘dominant’ for laying on the settee, when really the dog is just nice and comfy? All of these misunderstandings can lead to a less than ideal relationship. When we know what our dog needs, and we can understand their body language and behaviour, it makes for a happier relationship for us and the dog. iSpeakDog is a team effort put together by many volunteers (including yours truly) and supported by The Academy for Dog Trainers, Humane Rescue Alliance, The Bark Magazine and the Pet Professional Guild. 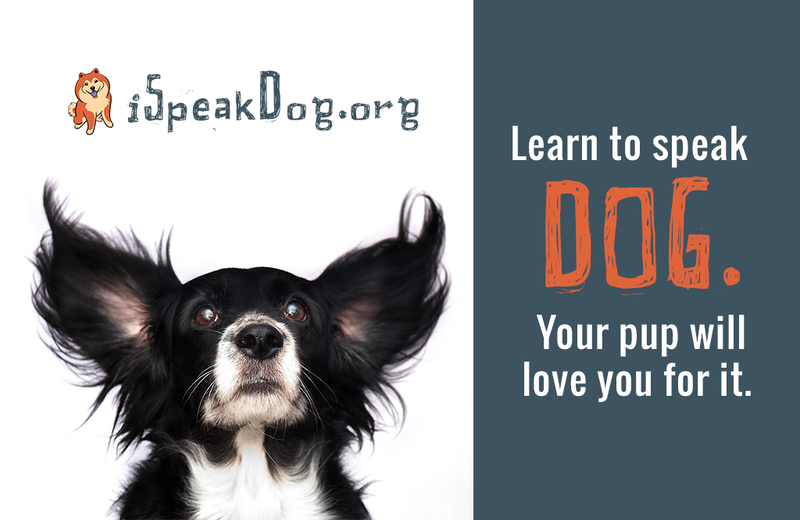 So take a look at the resources on iSpeakDog.org and share it with your friends. 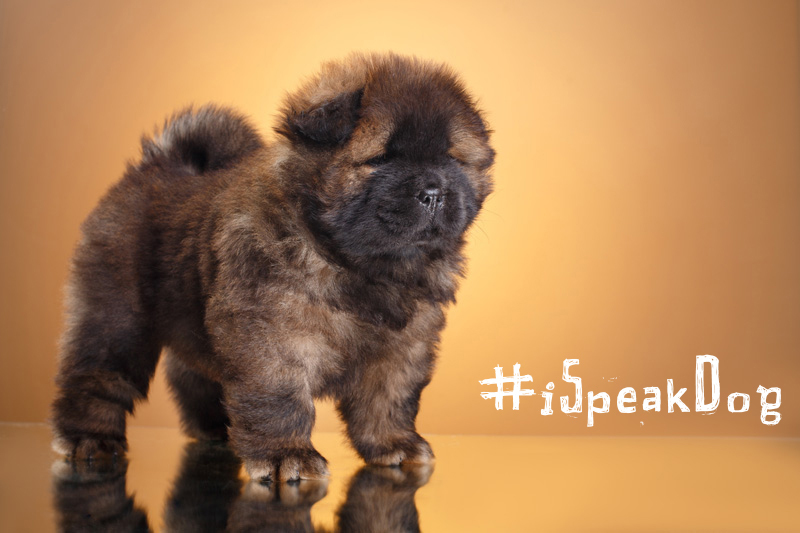 Join in on social media with the hashtag #iSpeakDog. You can even iSpeakDogify your own images. And don’t miss the swag. It features Cartoon Buffy as drawn by Lili Chin, and raises funds for Humane Rescue Alliance. I speak dog… do you? Wan, M., Bolger, N. and Champagne, F.A. (2012) Human perception of fear in dogs varies according to experience with dogs. PLOS One 7(12) e51775. doi:10.1371/journal.pone.0051775.